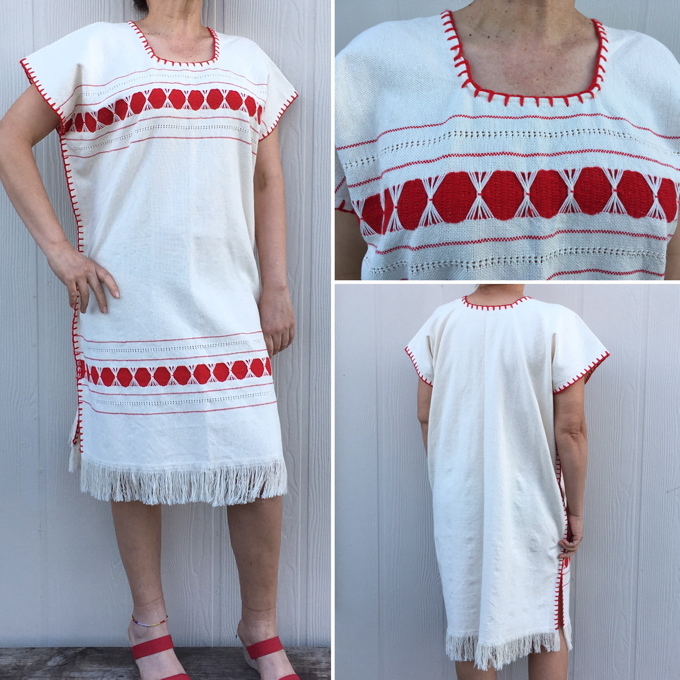 Mexican Dresses - Handmade Masterpieces crafted by Mexican Indigenous Groups - Handwoven Dress "Fer Rojo"
Ivory handwoven Mexican dress with red accent. 100% Cotton. Artisan made. Loose construction for an airy feeling. It looks great with a belt and over jeans. <**Size**>: One size <**Flat Measurements**>> Bust 25 1/2 in. Length 40 in (fringe inc.). Custom Orders are welcome. MADE IN: Oaxaca, México. Artisans: Q. Family. Currently viewing:Mexican Dresses - Handmade Masterpieces crafted by Mexican Indigenous Groups - Handwoven Dress "Fer Rojo"